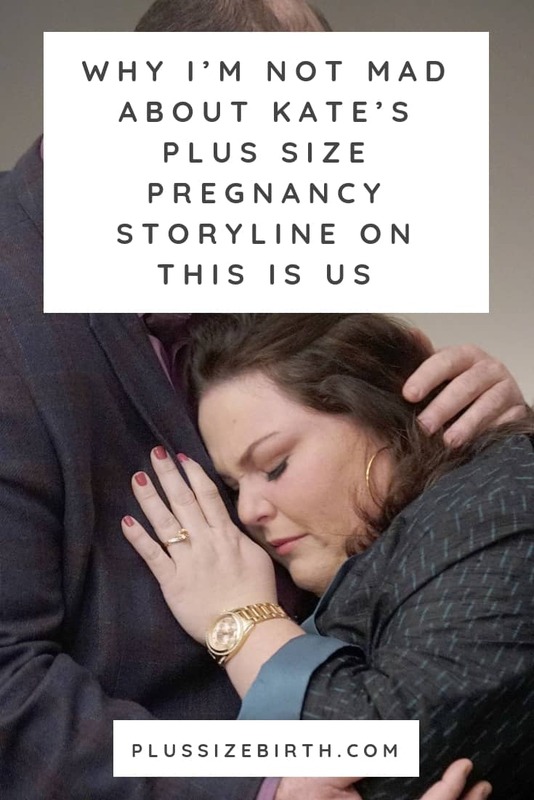 Just a few short weeks ago I wrote the article This Is Us Plus Size Pregnancy Storyline – Plus Size Fans Speak Out. I was holding my breath as we learned about Kate’s pregnancy. 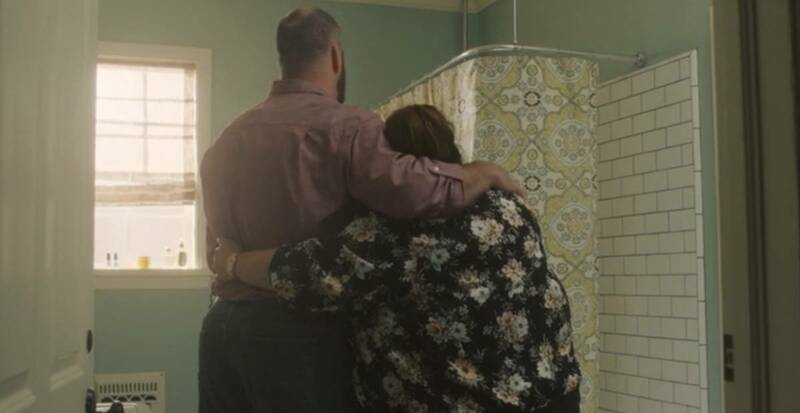 I was nervous how this storyline would play out considering TLC’s show My Big Fat Fabulous Life took us from Whitney Way Thore Is Pregnant to Whitney Way Thore Is Not Pregnant in 1 week. At least they didn’t keep playing out the mysterious positive pregnancy test with a Whitney Thore miscarriage storyline. So, as you can imagine, my expectations were not high for This Is Us. Yet, I couldn’t help but hope they’d play through a positive plus size pregnancy storyline. Kate had a size friendly care provider – that was awesome to see! Her partner was over-the-moon thrilled about her pregnancy. He was encouraging her to embrace this experience rather than focus on her fears of losing the baby (I’m pretty sure this is what they call foreshadowing – silly me). I thought about how an uncomplicated pregnancy of such a visibly large TV character could help to normalize plus size pregnancy. Then I remembered this is Hollywood. Bubble burst! So, when I saw Bustle’s article, Kate Lost Her Baby On ‘This is Us’ But Plus Size Women Like Me Do Have Healthy Pregnancies, I was upset but not surprised. When I finally made time to watch the show, I anticipated writing a furious rant afterward. I was even thinking up titles to the article while watching the opening credits. As the hour unfolded, I found myself a blubbering mess of emotions. My agenda of hoping a TV drama could follow through with a plus size pregnancy didn’t seem as important as the story they were actually telling. The story of Kate having a miscarriage. The shock at the doctor’s office. Pretending everything was fine when it clearly wasn’t. Needing so desperately to hear the words, “It’s not your fault” from her mother. And knowing that when the time is right, healing is possible. Only everything Kate went through in an hour, I’ve processed over the past five years since my miscarriage. How can I be upset with a TV show that made me feel all the feels and helps to show the depths of emotions people experience because of pregnancy loss? 1 in 4 people will experience a miscarriage. The more shows that can help people to understand what it’s like and break the stigma – the better! Don’t get me wrong, I still am hoping to see Kate’s plus size pregnancy storyline in the future. However, as a loss mom, I can’t be mad at a show for tackling miscarriage with such a depth and compassion. I so agree. I had a completely healthy pregnancy and gave birth on my knees at nearly 300 lbs. 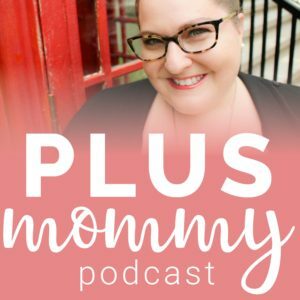 I hope she gets pregnant again but I’m also really thankful for how they handled her miscarriage – as a loss mom it was so real. I hope those who have never experienced loss were able to gain a deeper understanding of what it’s like. I can’t lie I was totally upset with that episode of this is us only because I went through the exact same thing this past September my second miscarriage I couldn’t believe it happened to me again I was heartbroken something me and my husband wanted so bad to add one more to our two boys who were so excited I felt and still feel I let them down and my husband even though he was right there holding my hand . I’m still trying to get past it I have great days and some days I’m like UGH. I just wanted a happy ending to let people know plus size women can have a great, healthy positive pregnancy and delivery. Praying one day for my rainbow baby. I’m so incredibly sorry for your loss Dena!! Truly. I hope Kate and you get your happy ending!